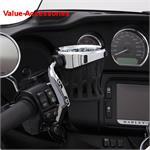 Click here to View or Purchase Handlebar Accessories. Mirrors / Cup Holders & Univ. Mounts / Speakers / Bags / Helmet Locks & More. 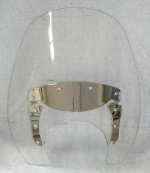 Click here to View or Purchase Cup Holders, Universal Mounts, Pouches & Gadget Holders including GPS. Pegs / Highway Mounts / Heelrests / Misc. Click here to see our selection of Pegs, Eng. Guard Highway Mounts, Heelrests / Misc. Click here to View or Purchase our selection of Passenger & Driver Bars & Replacement Pads / Armrests. Click here to View or Purchase Floorboard rubber inserts / Misc.